Opening Day for the 2019 Season is Friday, March 29! Bistro and Barbecue on The Blue Ridge Parkway. 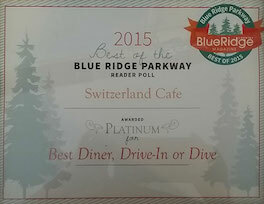 “The Best Restaurant on the Blue Ridge Parkway!”**But don’t take our word for it! 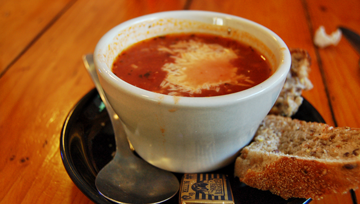 For over 30 years, The Switzerland Cafe has been specializing in fresh, homemade sandwiches, soups, and quiches. 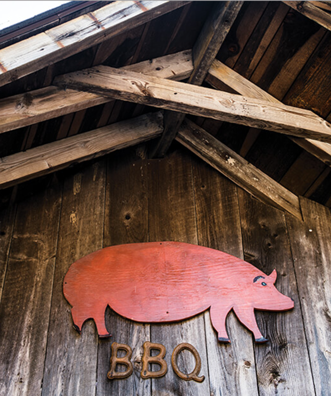 We have one of the largest wood fired smokehouses in the state, and our Applewood Smoked Trout and Hickory Smoked Pork BBQ have earned us a accolades on the North Carolina Barbeque Trail. 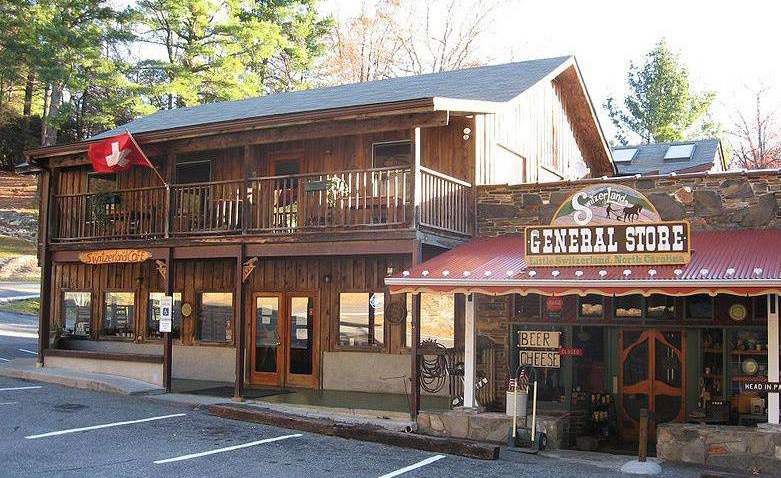 Our General Store offers picnic items, wine, beer and cheese as well as T-Shirts and Souvenirs. 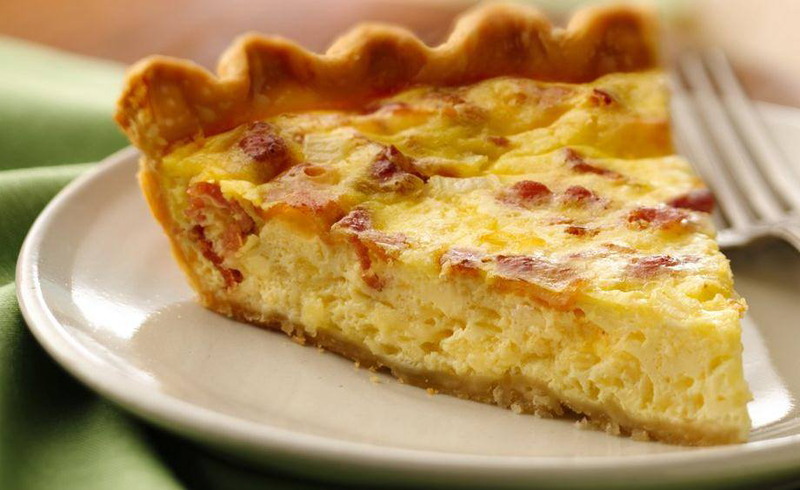 The Switzerland Cafe is located at Milepost 334 on the Blue Ridge Parkway, at 9440 Hwy 226A right in the heart of Little Switzerland, NC, across from the town post office. We hope you will join us! Featured on the N.C. BBQ TrailIf you are a fan of barbecue, you don't want to miss this. With one of the largest wood-fired smokehouses in NC, our secret recipe has meat lovers coming back again and again. 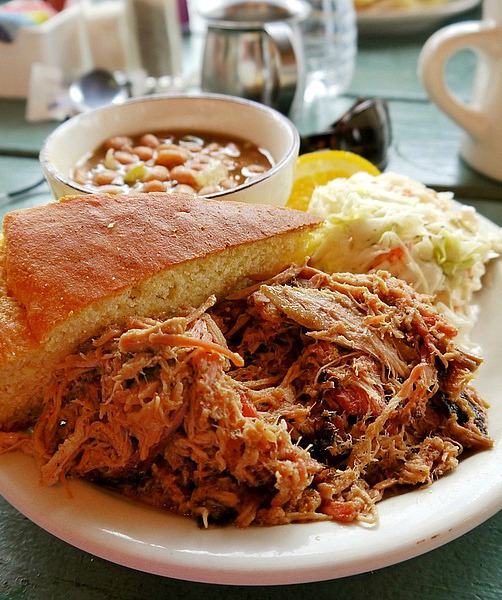 Our pulled pork is to die for, and our Signature Sauce is the tops! Try a few of our amazing BBQ Sliders, or go all the way with the Barbecue Platter. We offer house Smoked Salmon, and even Applewood Smoked local Mountian Trout. 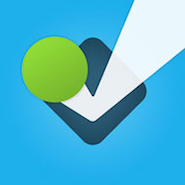 Trust the experts... it's incredible. We know how to pull it. Our pork shoulder bbq is treated right with an 11 spice dry rub, and then slowly smoked over hickory logs for 12 hours. That's 720 minutes of love, people. The perfectly cooked meat is then hand pulled, but we don't stop there. We then patiently simmer it in our signature sauce, which is becomming a Western North Carolina icon. Group ReservationsHave a group of more than 10? We require 24 Hours Notice to provide adequate staffing and service. We can provide a buffet or special menu however, 3 Days Notice is required! You may call: (828) 765-5289 to make a group reservation. Fresh, Local, FunIt's the Little Things that make us a Big Deal. Open 7 days a week, from 9am to 6pm, our General Store offers Imported Wine and Beer, Fine Cheeses, Candy and Foodstuffs, Fine Local Crafts, And lots more! Check out Zackery’s Pub for Live Music, Premium Sports TV, Pool, Foosball and of course, a great selection of Imported Wines, Draft and Bottled Beers. Whether your event is big or small, we have the perfect menu and price to fit your budget. 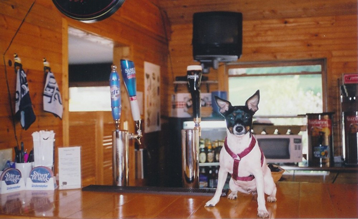 We cater all over Western North Carolina, so call today to arrange your special event!